Booking an appointment with Dr. Rubinstein is your first step to feeling totally confident about your body on your wedding day. His extensive education in the cosmetic field has enabled him to provide the greatest care to his clients and choose a team that is equally as talented. Dr. Rubinstein has also developed a state-of-the-art laser center equipped with the latest technology and dedicated staff to only this procedure. His laser hair removal treatment is now completely safe, almost painless and all for surprisingly affordable prices. What more could you want for your pre-wedding beauty treatments than a pioneer and leader in the cosmetic field? Dr. Berger, the founder of Rejuvalife Vitality Institute, knows every technique and procedure to make you feel fantastic for your special day. When it comes to laser hair removal they use only the safest and most effective method of permanent hair removal available. For this reason you can attend your appointments feeling confident you will have an enjoyable visit and look amazing afterwards. At Cosmetique Aesthetics they know that comfort and relaxation are everything when it comes to laser hair removal. It is not easy to come to your first appointment so they make sure their team provides you with all of the information necessary to give you complete peace of mind. Their ChillTip technology continuously cools the skin as it removes the hair, which maximizes the comfort felt by the patient and allows treatment of any kind of skin. You will not find any other beauty center that is so dedicated to your comfort. Whether you would like to have a Brazilian for your wedding night, bikini line hair removal for your honeymoon or get rid of any unwanted hair on any part of your body, Z Center for Cosmetic Health are their experts are there to help. Not only does their cutting-edge technology remove hair three times faster than any other system, but also it permanently reduces hair. They are so confident that their service is the best that they offer unlimited laser hair removal in Los Angeles, CA, in any twelve-month period. 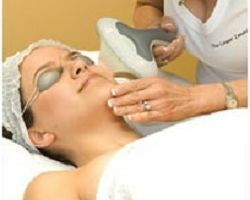 Searching for the right Los Angeles laser hair removal service is helped considerably by knowing all of the information possible. At La Beauty Skin Center they understand that it is difficult to know the difference between cheap, basic salons and true quality ones that also keep the cost down. To help their clients make the right choice La Beauty Skin Center provides all of the necessary facts and knowledge to give them complete peace of mind. Their clinic focuses on customer service and impeccable treatments that make them the number one local choice. The Laser Image is dedicated to the whole of their client’s body and not just what treatment they came for. With a dedication to wellness and confidence, their entire practice is aimed at making you feel completely relaxed. To achieve this The Laser Image has built a team of highly trained physician-supervised staff who are regularly educated in the latest practices and procedures. 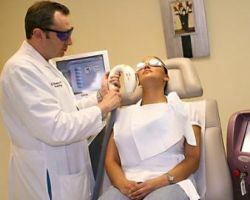 The Laser Image’s pride in their work has made this beauty center into one of the best and most respected in California.